​Arsenal's hopes of signing Cagliari midfielder Nicolo Barella rest on whether the Gunners can secure Champions League qualification for next season. Unai Emery is on the lookout for a new midfielder to replace Juventus-bound Aaron Ramsey but, with the Welshman leaving on a free at the end of the season, the club have struggled to raise the transfer funds to replace him. Barella has been touted as the ideal replacement for ​Ramsey but, according to ​The Mirror, they must qualify for next season's ​Champions League if they are to have any hope of affording the deal for Barella, who could command a fee of around £43m. They were limited to just loan signings in the January transfer window, with ​Barcelona midfielder Denis Suarez arriving at the Emirates Stadium on a temporary basis. However, the Spaniard has failed to impress and Emery is likely to look elsewhere in his search for a replacement for Ramsey. Arsenal sent scouts to watch Barella star for Italy against Finland on Saturday, and the Gunners have been convinced that the 22-year-old is the ideal replacement for Ramsey. However, they may struggle to finance the deal, especially if they fail to qualify for Europe's premier competition. They currently sit fourth in the ​Premier Leag​ue table, which would be enough to secure Champions League qualification, and they can also find a path to the competition if they win the Europa League, in which they are set to face ​Napoli in the quarter-finals in April. If they cannot qualify, they may have to rely on selling players to raise the required £43m, with Mohamed Elneny, ​Calum Chambers and Shkodran Mustafi all thought to be nearing the exit door at the Emirates. The club's wage budget is set to drop drastically as Ramsey leaves the club alongside ​Petr Cech, Danny Welbeck, Nacho Monreal, Carl Jenkinson and Stephan Lichtsteiner leave the club at the end of the campaign, but spending a sizeable amount on Barella would not be possible without the massive income generated by playing in the Champions League. 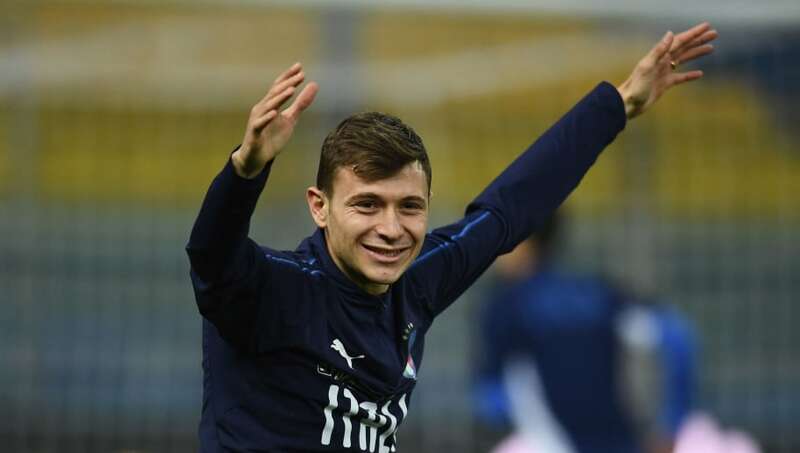 Barella is expected to command plenty of interest in the summer, with the likes of Chelsea, ​AC Milan and Napoli all thought to be desperate to sign the Cagliari star.